One of the best free things to do around Baltimore in the summer time is to watch a movie outdoors under the stars. It’s the perfect family activity or date night. We’ve rounded up a list of the free outdoor movies in and around Baltimore. Please remember to check the location’s website or Facebook page before heading out just in case there are any changes to the schedule. Head over to Mount Vernon Place’s verdant East Square with a picnic blanket or lawn chair to enjoy a free monthly movie in June, July and August. This summer’s flicks include: STEP, Wonder Woman and Coco. The popcorn is free, too! Every Thursday at 9pm during July and August, the Hughes Outdoor Theater at the American Visionary Art Museum (AVAM) features a free movie on its 30-foot wide screen. The Hughes Family Outdoor Theater has seating for more than 1,000 on the natural amphitheater formed by Federal Hill. Before each screening, take part in Fit before Flicks, a series of free exercise classes led by area experts. Also, AVAM offers free museum admission from 5pm-9pm on movie nights. Flicks on the schedule for 2018: Who Framed Roger Rabbit, Casablanca, Clue, The Birds, Harriet the Spy, Sherlock Holmes, Hidden Figures, Austin Powers: International Man of Mystery. This free summer film series is presented at the end of Broadway Pier in the heart of Baltimore’s historic Fells Point. Each film begins at dusk on Wednesday evenings starting in July and running through the end of August. The series kicks of this summer with Star Wars: The Last Jedi on July 11. Note: The May 31 showing of Oceans Eleven was postponed due to inclement weather. Stay tuned for a new date. 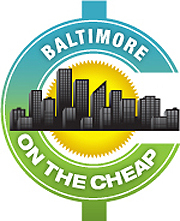 This series of free movies and concerts in Baltimore city parks began in 2016 brought to the community by Baltimore City Recreations and Parks. In 2018, there are 145 family-friendly events on the program in 36 Baltimore communities through October. View the entire schedule here. All showings provide free popcorn and picnic baskets and coolers are welcome. Pets are welcome too as long as they are leashed. Enjoy family-friendly movies on the lawn around Lake Kittamaqundi in Columbia. Sponsored by the Columbia Association, the series of free movies are shown every Monday and Friday from June 18 to August 31 and then every Friday and Saturday from August 31 to September 8. Movies begin at dusk, around 8:30pm. Check out the entire 2018 lineup here.